Now, Netflix is taking a chainsaw to the walled garden of film and television production. Here’s the traditional process for making a movie. This system has remained relatively unchanged for the last 40 years. (Above)A studio makes a film and sends it to a distributor to sell to retailers (e.g. 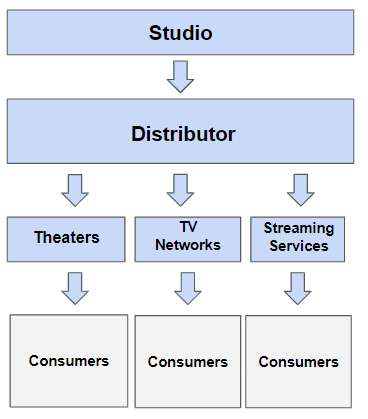 movie theaters, TV networks, and streaming services.) Through these retailers, the film is made available to consumers for the price of a movie ticket or cable package or DVD or on-demand video. It’s important to note that in this process, the extent to which a film is made available to consumers varies widely from project to project and retailer to retailer, typically based on revenue projections and a film’s potential for mass-appeal. (Above) Netflix makes a movie. As soon as it’s ready, the film is made available to anyone with a Netflix username and password – so basically, you and everyone you know, as well as 130 million of others around the world. When it comes to developing TV shows, Netflix’s advantage over legacy media is even greater: network and cable TV programs usually go through dozens of rewrites and sometimes years of tweaking in an attempt to please network heads and studio execs; and ultimately, advertisers have final say over what shows get aired on traditional television. Sheesh. 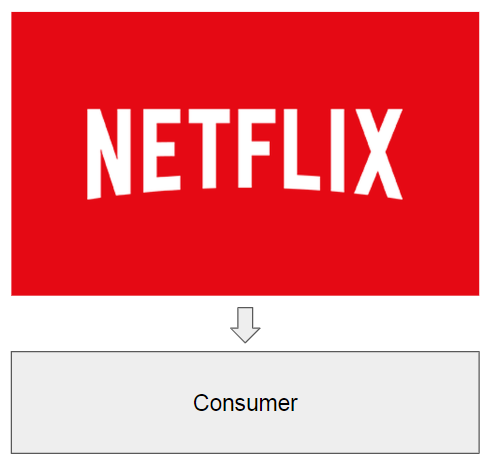 Netflix combines its shotgun approach to original content creation with an array of algorithms constantly working to curate content “For You.” Real-time data from actual users determines what has appeal and what does not, instead of suits in a boardroom with pie charts and tee times. Despite being an internet-first product, Netflix is now the single most popular way to watch video content on television. Netflix is now valued at $140 billion – just 16% less than Disney, the largest media company in the world. The magic kingdom is preparing for war in 2019. Over the next twelve months, Disney will acquire 21st Century Fox, strip all of its content from Netflix and launch its own DTC platform. 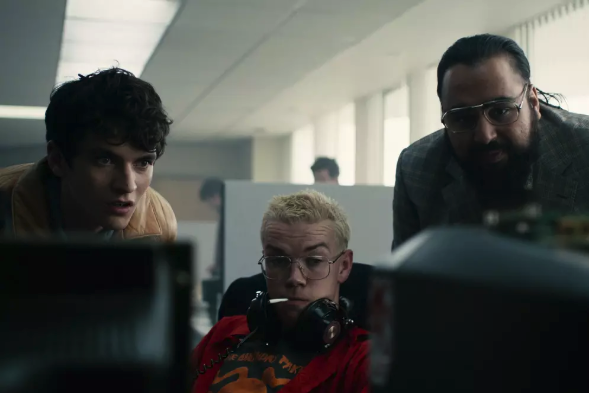 Netflix premiered “Bandersnatch,” a groundbreaking,choose-your-own-adventure episode of its critically-acclaimed series Black Mirror, in the final days of 2018. And it was completely overshadowed by Netflix’s own meme-powered mega-hit, Bird Box. 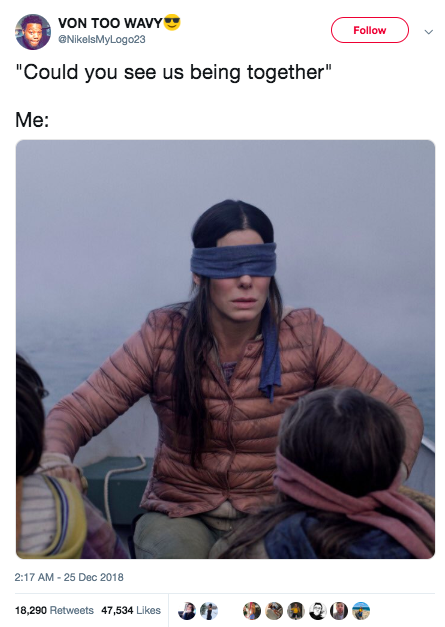 Netflix invested millions of dollars and over two years building a state-of-the-art “branch manager” to handle the incredible intricacies of Bandersnatch and people hardly noticed because Sandra Bullock in a blindfold took over the internet. As the internet’s most prolific storyteller, Netflix can afford to take chances like Bandersnatch again and again. And that’s when the true scope of the company’s power is realized; like the bully on the playground that Disney and others have come to fear, Netflix is taking swings just because it can.